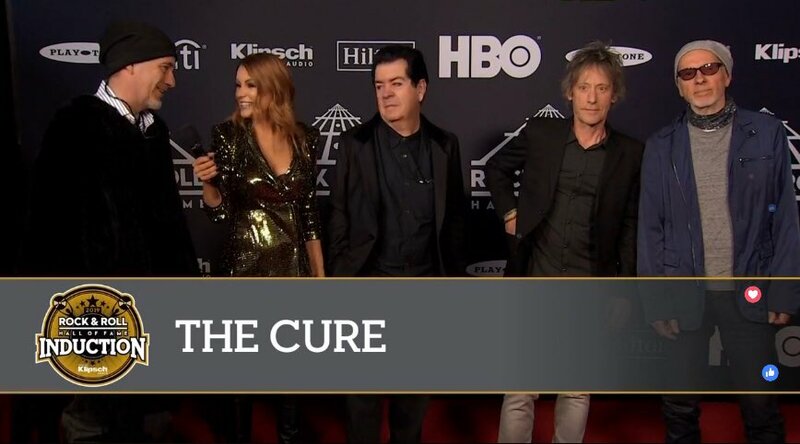 Very weird that the RRHoF has amended the induction list to include Reeves (essentially a touring guitarist for the band at this point) particularly when there are past members not being inducted who played on classic 1980s Cure albums (Andy Anderson, Phil Thornalley, Matthieu Hartley). The ticket ballot is now open for four shows celebrating the 30th anniversary of Disintegration. Vivid Live has announced its headline act for 2019, and it’s a good one. Legendary British rock band The Cure will take to the Opera House’s Concert Hall stage for four nights, playing their influential 1989 album Disintegration in full, along with hits from their other albums. The world premiere shows will celebrate the 30th anniversary of Disintegration, which features some of the band’s best-known songs, including Pictures of You and Lovesong, and was hailed as a return to The Cure’s gothic style after several poppier recordings. Robert Smith (and his eyeliner) will perform with both current and former members of The Cure. Smith wrote Disintegration while he was experiencing upheaval in his personal life, thirteen years after the band formed. His aim was to create a masterpiece, and the three million copies sold – more than any other Cure album – are a testament to his success. It was also the band’s most critically praised recording. Due to the anticipated high demand, tickets will be available via ballot. Fans can apply for them over a six-day period (to reduce website congestion) starting at 7am today. Vivid Live is part of the annual Vivid Festival, which includes light installations, music and talks. Vivid Live is held across all six venues of the Opera House and in the past has featured performers such as Brian Eno, Lou Reed, Kraftwerk and the Pixies. Definitely going to attempt to get tickets to this. Going to the Saturday night show. Good news. Completely forgot about this as we just moved house. Must be the week for it, we’re in the middle of the same thing; moved most stuff yesterday but still a few bits and pieces left to shift. Inducted into the Rock n Roll Hall of Fame tonight. I guess this deflates my expectation that the band may bring back Boris and/or Pearl for the Disintegration shows. If it's just the current band playing those songs, my interest level has starkly moderated. I have the tickets and flights booked already but now it seems like kind of a drag. Wonder why Bob wouldn't allow them on stage. He had Boris doing additional percussion for the Greatest Hits acoustic sessions, and he let Lol play along during those Faith shows. So it's not about keeping "band integrity" or whatever. Also, super weird that Reeves was inducted along with the rest. He hasn't even played on a released album yet! It is weird, and Reeves wasn't originally announced as being included either; I presume there was some behind-the-scenes pressure to include him. - Lol having written his book seems to have strained his relationship with Robert (again) - he mentioned in one interview that he sent Robert a copy of the manuscript before it was published but he hadn't heard from him ever since, and considering they're really the co-founders of the band, there was no particular warmth displayed between them at the RRHoF show and I don't believe they were photographed together even once. I see more similarities between Robert Smith and Trent Reznor these days than I had previously. TR has had some semi- or fully acrimonious band member exits over the years, such as Charlie Clouser, Richard Patrick, and Jerome Dillon. He also has Robert's bad habit of announcing things that he wants to release and then not follow through on them. I hope one day there's an in-depth investigative biography of the band, there's surely enough material and interview subjects out there (I'm very sad that Andy Anderson passed away before this could happen). I can readily understand why there could be some disgruntlement among former members; while Robert writes all the lyrics, the band's music has always been a collaborative endeavour and some members in particular have played a significant (and not proportionately credited) role in writing the band's music.